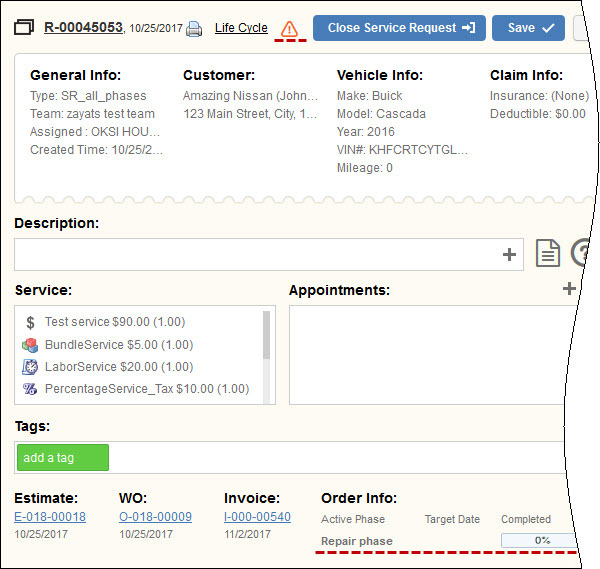 You can see whether vehicles in repair orders have ever been recalled, as well as view detailed information on each safety recall. 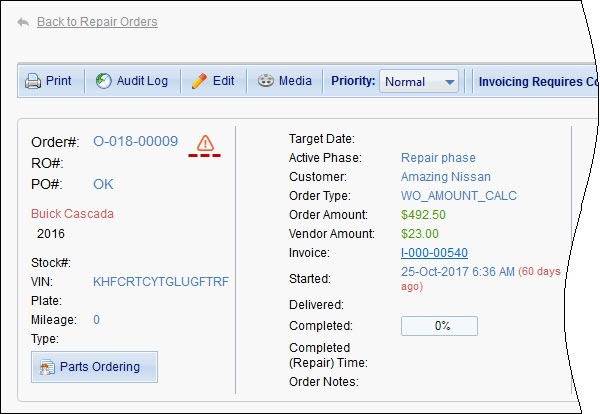 ...only if this repair order was created from a service request created for a recalled vehicle. To see the details of vehicle recalls, click the Recall icon.